Orthodontics is the specialist area in dentistry that deals with the diagnosis, prevention and correction of dental and facial irregularities occurring in children and adults. It deals primarily with straightening teeth and correcting how they meet. It also deals with the growth and development of jaws, teeth and face. 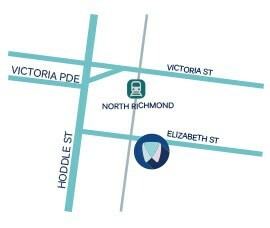 Orthodontics can benefit people of all ages; and at Richmond Family Dental, we treat children, teenagers and adults. Orthodontics works by using an appliance, fixed or removable, which is designed to apply a constant gentle force to the required teeth. Over time, the teeth will move naturally to their new desired positions. As a team, our goal is to provide the highest quality orthodontic care and to achieve an excellent result for each and every patient. An excellent result for our patient means an excellent result for us. To accomplish this, we strive to give special attention to our patients’ individual needs and wants, whilst utilizing state of the art technology, appliances and techniques.